Thank you so much for posting this link. I signed up and will be making it in batiks. I too have been doing Piecing the Past BOW for a couple of years and really am looking forward to this one. I signed up as I have a project I wanted to make an Irish Chain using all dark green fabrics for a couple in my congregation. This will be perfect. Thanks! I too signed up as I've been wanting to make an Irish Chain for a long time. This is one way to get it done! 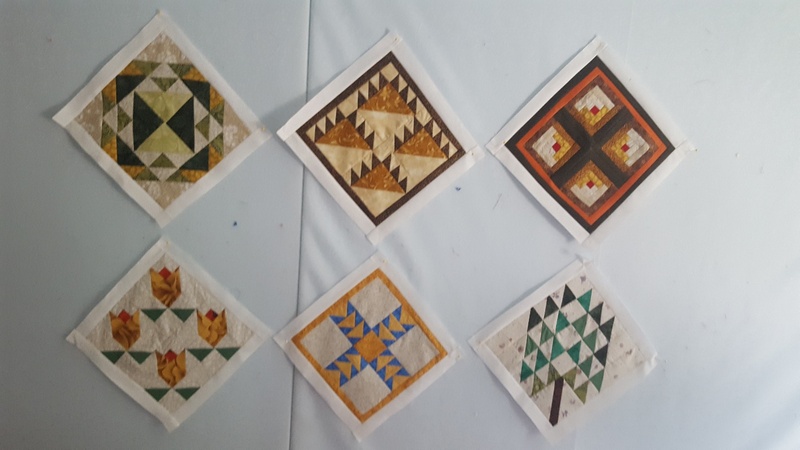 My 6 out of 18 blocks on the current BOW with Debbie McInnis. I'm only shopping in my stash. Thanks for the link! Fun! Thank you for this link. I just signed up and have a month to make fabric choices. The reproduction prints are so lovely I am tempted to go shopping. I signed up and will also be shopping from my stash. I am hoping that someone will start a thread in the "Blocks of the month/week" section of the forum for this project, last year it was done that way. It would be fun to see everyone's fabrics and progress as a quilt along. I'm signed up but still haven't committed to a fabric yet.